Things might turn frosty in the Fenty household, after Rihanna’s uncle was caught allegedly selling knock-off versions of her latest Puma clothing line. Leroy Fitzgerald Brathwaite, was brought before the courts in Barbados yesterday for selling fake Fenty x Puma slippers and t-shirts. The vendor allegedly committed the offences back in May this year. It was Rihanna herself who raised the alarm, when she noticed the counterfeit goods were being sold in a Bridgestown store, while on a trip home to Barbados. COMING SOON! My #FENTYXPUMA debut collection drops September 6. A Puma representative from Curacao, Luis Leon Herman Convalis, attended the court hearing as Brathwaite faced charges under the Consumer Protection Act, reports NationNews Barbados. Braithwaite, aged 53, formerly known by the stage name Daddy I-Roy and more recently stylised as De Warrior, is alleged to have been ripping off niece Rihanna’s famous Fenty line for the grand sum of around $500 (£375) in total. Items in Rihanna’s real range can cost well over $1,000 each. Brathwaite, who uses the stage name De Warrior, appeared in the local courthouse yesterday where he pleaded not guilty to the charges. The Fenty brand blew up with the introduction of furry slip-ons and sports luxe, which have since been copied the world over by unoriginal high street brands and fast fashion outlets, and the sort of styles she champions always feature on trend-forecasting services, each and every season. Rihanna’s style evolution has been dramatic over the years, developing from the low-slung jeans of the Pon de Replay years, to a more glamorous look with the Umbrella era, through to high fashion couture with the release of ANTI. The Barbados-born singer and fashion ground-breaker partnered with German sportswear company Puma in 2014 when they named her creative director of their women’s collections. The #FENTYxPUMA Cleated Creeper is back in new colors TOMORROW Oct. 19th!! Rihanna has graced the cover of Vogue, Dazed, Elle, and many other fashion bibles. Since then, her Fenty line has been a hit as fans aspire to RiRi’s unique style. Rihanna pumped new life into Puma with her grandiose sports luxe style, which is so renowned, it even received the meme treatment in the past, when she wore a ‘pizza dress’ to the Met Ball. Not satisfied with conquering the fashion world, Rihanna, aged 29, has recently embarked on a best-selling beauty business, launched in September. Fenty Beauty has been championed by beauty bibles the world over for its diverse collection of shades and colours, thanks to its mission to create a truly universal range of make up for all skin tones. It’s so good it was named one of TIME‘s best inventions of 2017. She’s also returned to her true talent: Music. 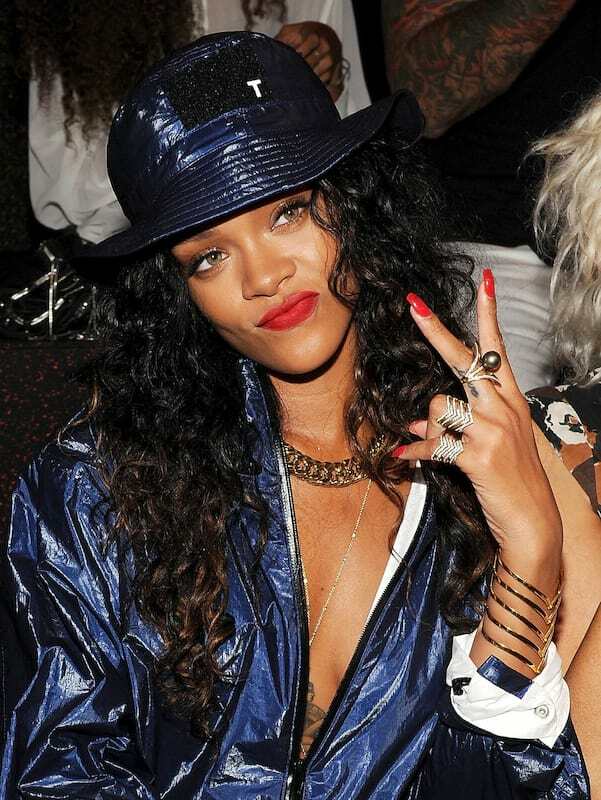 Rihanna recently featured on N.E.R.D.’s comeback collab, after a three-year hiatus for the funk hip-hop group, fronted by Pharrell. In the track, Lemon, from the album No_One Ever Really Dies, we hear Rihanna’s trademark rap, in which she declares her business acumen and determination, in no uncertain terms. Maybe her uncle hasn’t heard the track yet. Brathwaite’s lawyer argues the charges were improperly laid and should be dismissed as he never received a warning before his arrest. The case has been adjourned until next Tuesday, November 28. Rihanna is yet to publicly respond to the reports. But b*tch better have her money.